The entry of heavy and medium goods vehicles into the national capital was banned for three days beginning 11 pm on Thursday night due to concerns over the air quality in the national capital. A senior official at the South Delhi Municipal Corporation (SDMC) said the concessionaire manning toll plazas on the border entry points has been directed to ensure strict enforcement of the ban. There are 13 toll plazas on which the SDMC collects taxes and environment cess through which 85 per cent of the goods carriers enter Delhi. 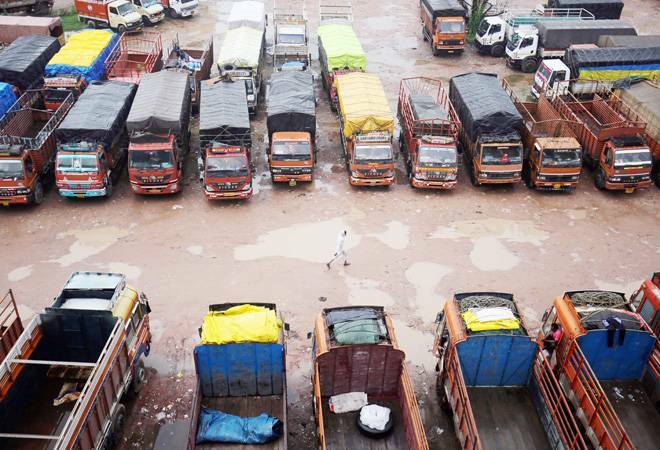 Around 50,000-60,000 trucks enter Delhi daily, he said. Meanwhile, several truck owners protested against the ban, alleging that they are being made "soft targets" by the government. "The business suffers when such bans come into force because an idle truck incurs daily expense of around Rs 7-8,000 to its owner. The ban should be lifted at the earliest as Delhi's air quality has improved," said Rajinder Kapoor, president of the Delhi Goods Transport Organisation.